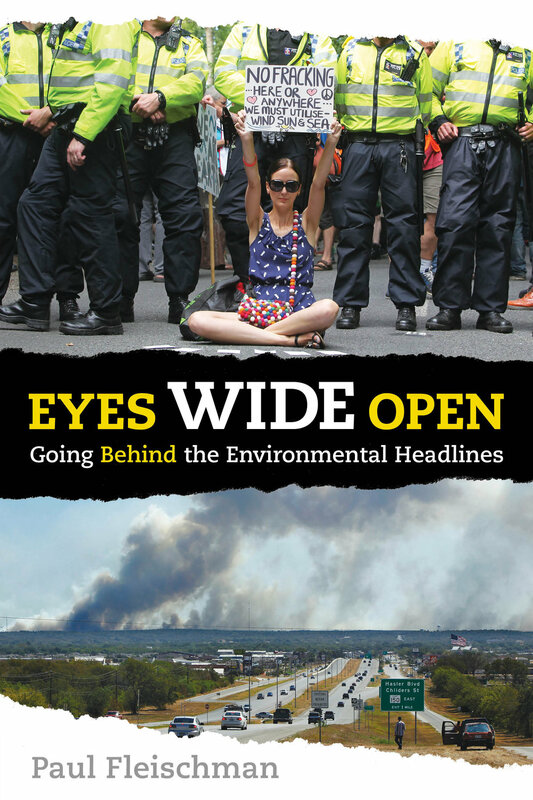 Eyes Wide Open: Going Behind the Environmental Headlines, by Paul Fleischman. Candlewick, 2014. Paul Fleischman offers teens an environmental wake-up call and a tool kit for decoding the barrage of conflicting information confronting them. Science, politics, history, and psychology are joined to provide the briefing needed to comprehend the 21st century Take 250 years of human ingenuity. Add abundant fossil fuels. The result: a population and lifestyle never before seen and in which suddenly everything needs rethinking – suburbs, cars, fast food, cheap prices. This book explains the changing world, clearly articulating the principles driving attitudes and events that have brought us to this point, to the young audience whose future will be most affected by these changes. Paul Fleischman grew up in Santa Monica, California, the son of children's book author Sid Fleischman. Drawing on history, music, art, and theater, his books have often experimented with multiple viewpoints and performance. He received the Newbery Medal in 1989 for Joyful Noise: Poems for Two Voices, a Newbery Honor Award for Graven Images, and the Scott O'Dell Award for Historical Fiction for Bull Run, and was a National Book Award finalist for Breakout. He lives in Santa Cruz, California.